Lincoln Certified. Heated Leather Seats, CD Player, iPod/MP3 Input, Remote Engine Start, Onboard Communications System, Satellite Radio, Aluminum Wheels, ENGINE: 2.0L ECOBOOST, Turbo Charged Engine, Back-Up Camera. CLICK ME! Leather Seats, Power Liftgate, Heated Driver Seat, Back-Up Camera, Satellite Radio, iPod/MP3 Input, CD Player, Onboard Communications System, Aluminum Wheels, Remote Engine Start, Dual Zone A/C, Brake Actuated Limited Slip Differential, Heated Seats, Heated Leather Seats Rear Spoiler, MP3 Player, Privacy Glass, Remote Trunk Release, Keyless Entry. ENGINE: 2.0L ECOBOOST (STD). 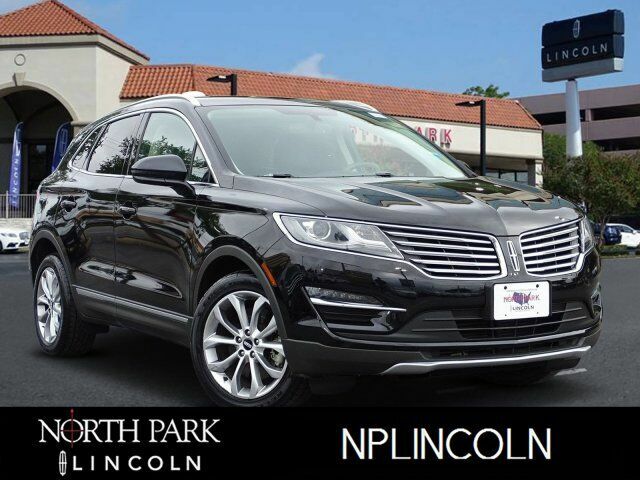 2016 Lincoln MKC with Black Velvet exterior and White Sands/Espresso interior features a 4 Cylinder Engine with 240 HP at 5500 RPM*. CARFAX 1-Owner Meticulous 200-Point inspection by factory trained technicians, The confidence of a 6-year/100,000-mile comprehensive warranty coverage, Luxurious by standards, Certified by Ours, Complimentary 24/7 Roadside Assistance, The Assurance of a vehicle history report, 24-Hour Customer Assistance, Several Warranty Upgrades Available On long highway journeys, the MKC feels smooth and relaxed. And thanks in part to a standard active noise-cancellation system, it`s also very quiet. -Edmunds.com.